Several years ago while planning a trip to Poland I looked into visiting the site of the famous World War I Battle of Tannenberg. This was a seminal event in the opening months of the war. 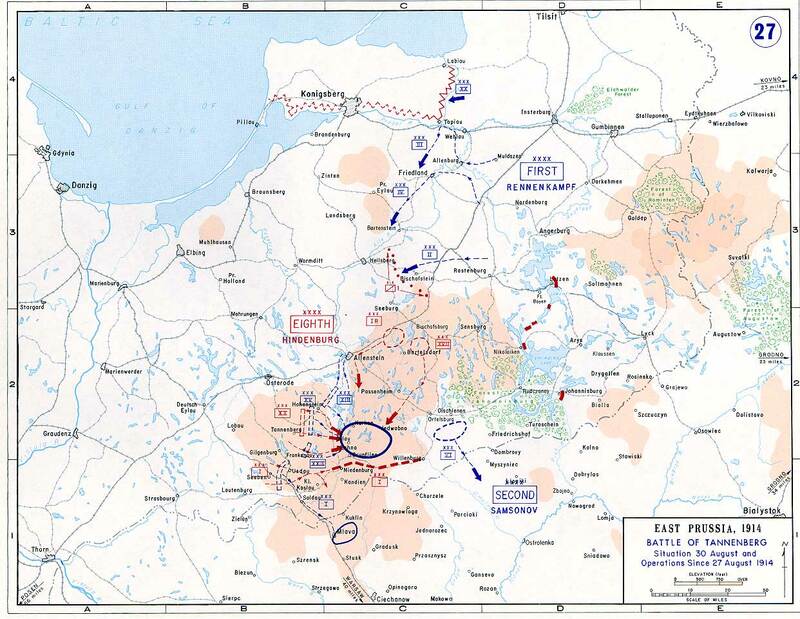 In what is today northeastern Poland, the Germans surrounded and destroyed an entire Russian Army. It was one of the few tactically decisive battles of the war. Tannenberg has become the only well-known Eastern Front battle among those with even a cursory interest in the war. Surely, I thought for such an important event there would be a battlefield with historical markers or a visitor center to educate the curious. I soon discovered this not to be the case. The problem with locating the Battle of Tannenberg is mostly one of space and time. The battle was fought across a sprawling expanse of countryside consisting of lakes and forests. It took a total of five days from start to finish. Trying to pin down a specific place and date for the decisive events is all but impossible. On the Russian side, there was more surrender than actual combat. The Russian forces ended up with 92,000 soldiers taken prisoner versus 78,000 killed and wounded. Not exactly the type of activity that gets a history buff’s heart racing. On the German side, tactical brilliance consisted of setting a trap and allowing the Russians to fall into it. There was nothing inherently dramatic about that. This was not a Napoleonic set piece battle, with two armies staring each other down. Instead it was a blundering, confused mess marked by chaos and confusion. In other words, it was mobile warfare distilled to its essence. Since there was no dedicated visitor center or x marks the spot historic site, I surmised that the battle’s location would be at or near the village it was named for. That idea turned out to be problematic. First of all, the village of Tannenberg no longer exists on maps, since it is now located in Poland. The Polish name for the village is Stębark. Once I knew that, it was easy enough to locate the village on a map, but then it got really tricky. After a bit of research I discovered that the heaviest fighting and focal points of the battle did not take place near the village. Instead, they occurred about 20 miles (30 miles) further to the northwest, in the vicinity of the small city of Olsztyn (Allenstein). So why was the battle named for a town on the periphery of where it actually occurred? The reasons had to do with national and racial identity. After the battle was won, the German high command sent their victorious dispatch from Tannenberg. It was around this time that it was decided that the battle should be named after the village. This was done to avenge a historic defeat the German’s forebears had suffered in the area over 500 years before. At the Battle of Grunwald (German name Battle of Tannenberg) in 1410 the Teutonic Knights were defeated by a Polish-Lithuanian force. It was a critical moment in the history of northeastern Europe, as it stopped the Knights’ expansion. With the rise of nationalism in the decades prior to World War I historic battles between Teuton and Slav were no longer just about the past. They were also used to influence the present. A policy of Germanization throughout Prussia brought about resistance from the Polish population. The Poles did not have the ability to fight the Germans militarily, so they held onto the next best thing, victories from many centuries before. German nationalists certainly noticed this. The victory of the German Army at Tannenberg avenged the Teutonic Knights loss. Even though it came against the Russians, they were also Slavs. No matter what nationality, Slavic peoples were seen as the common enemy of the German people. The victory, presented the Germans with a golden opportunity to showcase their superiority. Henceforth, they referred to it as the Second Battle of Tannenberg. Never mind where the battle was actually fought, Tannenberg was close enough. This was just the beginning of the name’s usage for German propaganda purposes. 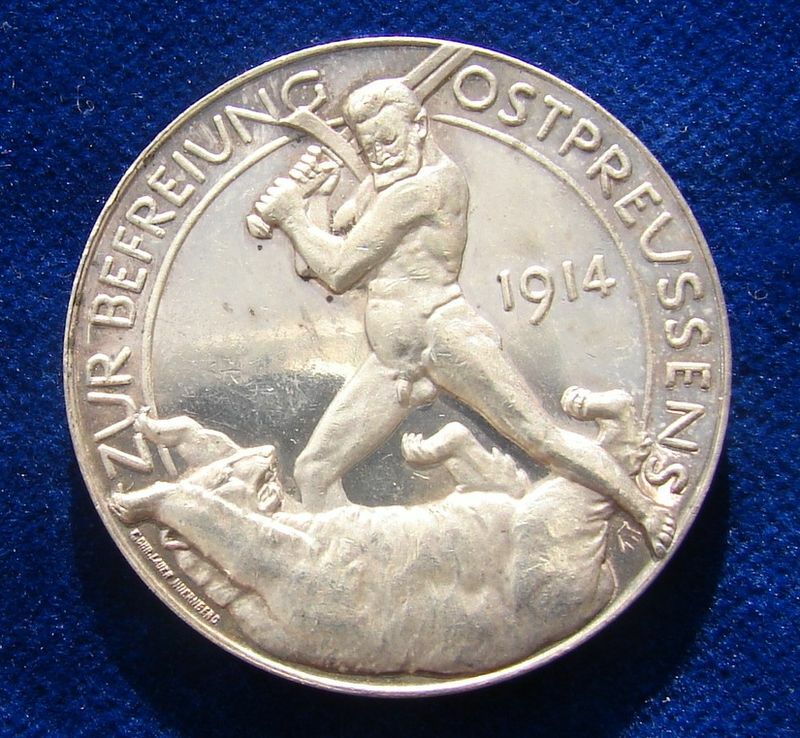 After the First World War ended, a defeated Germany looked to victories in battle for solace. Tannenberg resonated with much of the populace and especially the far right. Thus, one of the two victorious German commanders from the battle, Erich Ludendorff used it as the name for his extreme right wing society, the Tannenbergbund. 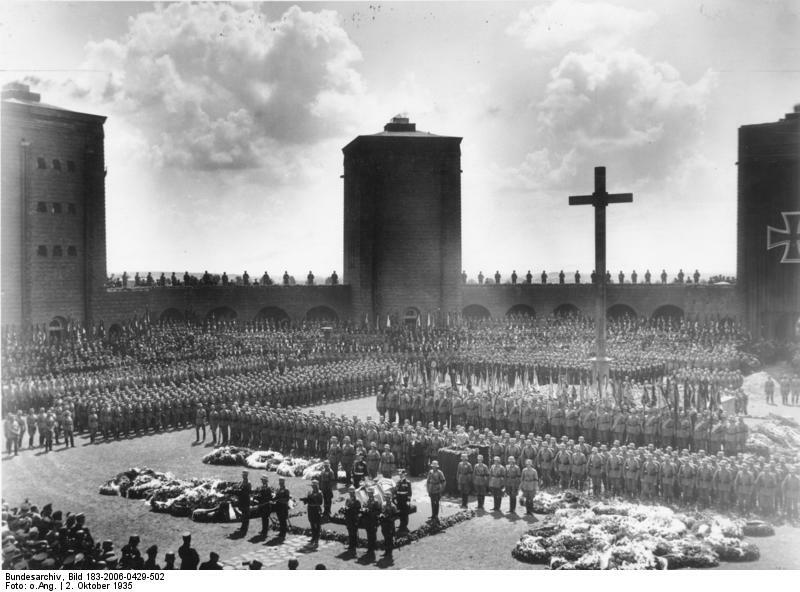 An even greater propaganda coup was the huge Tannenberg Memorial erected by Germany in 1924 to commemorate the tenth anniversary of their glorious victory. Interestingly enough, the Memorial was not located at the village of Tannenberg. Instead it was placed at Olsztynek (in German Hohenstein) 5 kilometers away. It eventually housed the tomb of Paul Von Hindenburg, Ludendorff’s fellow victorious commander from the battle. Like everything else in this once solidly Prussian territory it was transformed by World War II. Hindenburg’s remains were evacuated to western Germany in order to avoid looting by the Red Army. The Nazi’s then set off charges to demolish parts of the memorial. Later the Soviets and Poles finished its destruction. After several weeks’ worth of research I decided to skip visiting the Tannenberg battlefield. My problem was also one of space and time. It would have taken days to cover the areas where fighting occurred. There was little possibility of finding any tangible evidence of the battle. The only sites I could find were not associated with the battle, but instead the memorial. Its former location can be roughly discerned by rubble strewn about in a vacant field that outlines the site. There is also a bit of the old memorial’s stone and granite standing in the town square of Olsztynek today. It was used in the Soviet World War II memorial, a subliminal, hidden legacy of German militarism.